October 29, 2018 Source : benq.co.in News . National, October 29th, 2018 – ZOWIE eXTREMESLAND CS: GO Asia Open 2018 Grand Finals successfully concluded last weekend on October 21st. The winner team MVP.PK from Korea were crowned as the best CS: GO Team in Asia from this tournament, also becoming the third champion of Zowie eXTREMESLAND. The finale was held in Shanghai on October 18-21 where 16 best teams from around APAC competed for a prize of USD 100,000. 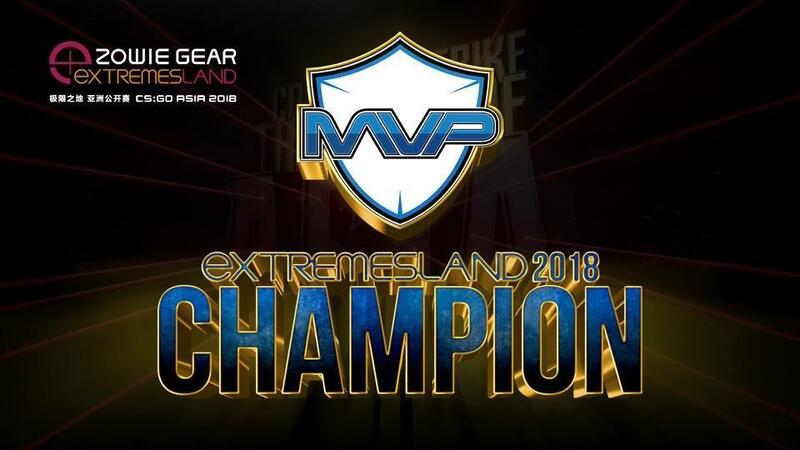 The winning team MVP.PK performed flawlessly against all opponents, and secured the trophy as well as the prized money of ZOWIE eXTREMESLAND CS: GO Asia Open 2018.
eXTREMESLAND is created by Shengcheng Trading Ltd. from 2016. It’s a professional esports organization trying its hardest to promote esports with positive and clean image to the public as its mission. Most importantly is to be honest to the game and its fans, making transparent, fair, and international esports platform. eXTREMESLAND putting its feet on the pedal, and stimulate the growth of esports, build and defend the stage of honor and dreams.